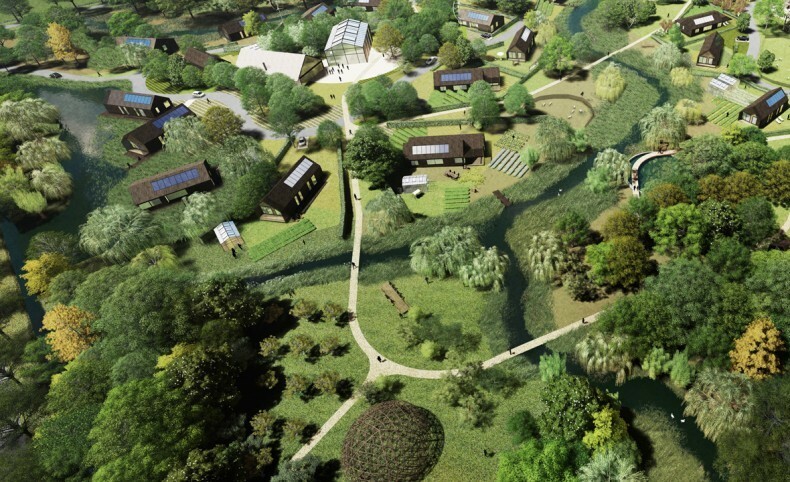 karres+brands developed a design for Wilgenwold, a large ecological district in Almere (NL). 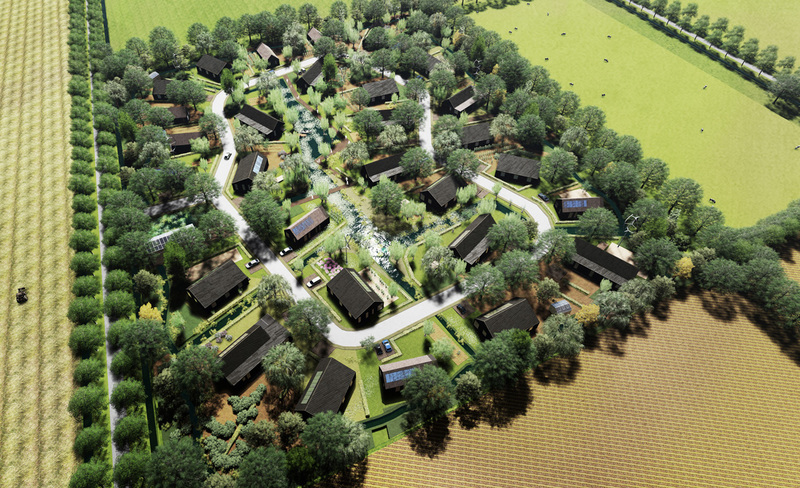 Wilgenwold is a slowly growing village situated in a functional landscape with forest gardens, natural water purification and urban agriculture. The plan is part of the Oosterwold area development project. Half of the district consists of urban agriculture. People have the option of planting an orchard or vegetable garden, or they can raise livestock. A variety of trees and shrubs in the vicinity provide raw materials and food for both humans and wildlife. These food forests form a rich ecosystem, connecting humans and nature. What’s more, roads and pathways have shared locations and there is a communal plot with space for yoga and other neighbourhood activities. The first houses are expected the be built in 2018.